Isn’t this time of year magical? Thanks to Valentine’s Day & New Year’s, there are so many beautiful couples in Hollywood getting together and popping the question. 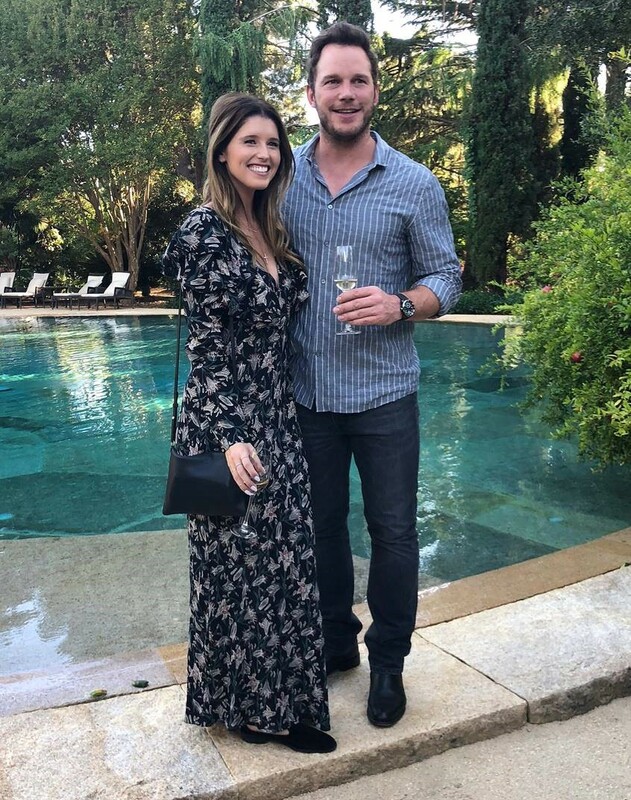 This week, it’s Chris Pratt and Katherine Schwarzenegger. As a daughter of Hollywood royalty Arnold Schwarzenegger and Maria Shriver, Katherine Schwarzenegger is used to growing up with parents in the spotlight. But this time, the light is all on her and her stunning Cushion Cut Center Stone Engagement ring with a white diamond halo. OMG! What a ravishing ring! That Chris Pratt has some taste. Bravo, Chris Pratt, Bravo! Yes, it is his second time asking a woman to marry him, but he does have the blessing of his first wife, fellow Hollywood star Anna Faris, so this engagement is truly a match made in heaven. 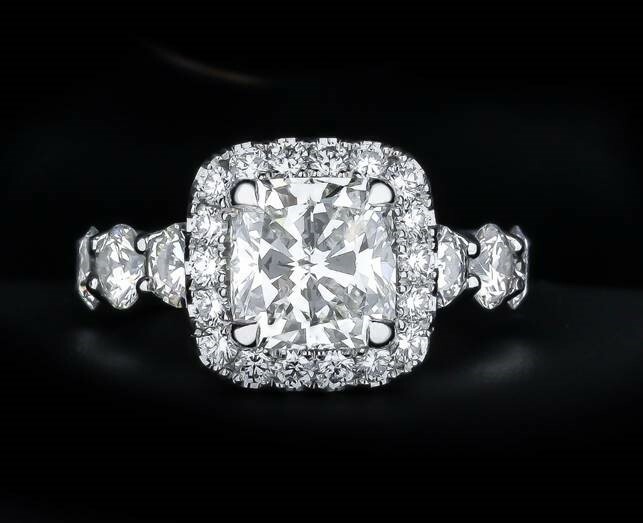 As for the ring, this Cushion Cut is one to die for! Of course, we don’t have access to her ring, but we do have access to a similar one of our own – a breathtaking Engagement Ring with a 3.06 Carat Cushion Cut Center Stone with a white diamond halo. We hope that another bride will find her own Chris Pratt using this ring. Or, of course, we could design an even better version of it. You are only limited by your dreams here at Burdeen’s Jewelry. For more information about Burdeen’s engagement rings, call us at 847-459-8980 or visit our Lake Shore Boutique on Lake Cook Road in Buffalo Grove. This entry was posted in ***Bridal, ***Jewelry, News and tagged engagement, Engagement Ring, Hollywood News. Bookmark the permalink.